61264 is normally based at the North Yorkshire Moors Railway (NYMR). At 18-mile (29 km) long, this is the second-longest standard gauge heritage line in the United Kingdom. It runs through stunning scenery across the North Yorkshire Moors from Pickering, via Levisham, Newton Dale and Goathland, terminating at Grosmont. Some heritage rail operations continue along Network Rail tracks to Whitby. For more details, please visit www.nymr.co.uk. 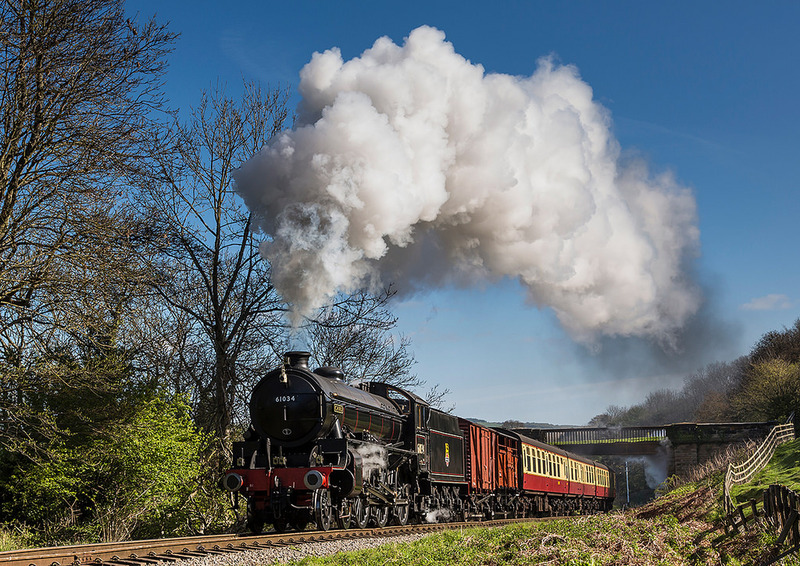 61264 masquerading as 61034 ‘Chiru’ at the NYMR Spring Gala, 3rd May 2014. Credit: Ken Snowdon.